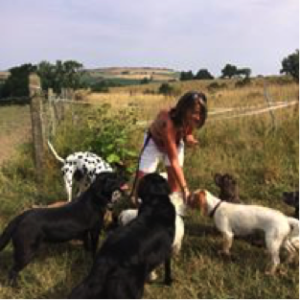 There’s nothing that privilegedpup loves more than a good doggy friendly Saturday Spotlight interview and in the Cotswolds there’s a wealth of fabulous companies devoted to taking care of of our favourite four legged friends. This week’s guest is no exception. 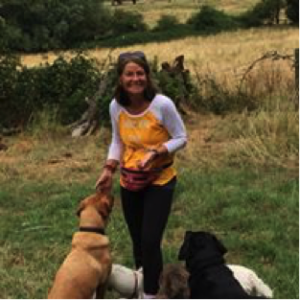 Please welcome to the Lady Janey sofa the lovely Jen from Just Jen Dog Walking. With nothing to lose, I decided to give it a go. My business has now been running successfully for 3 and a half years and I love it! 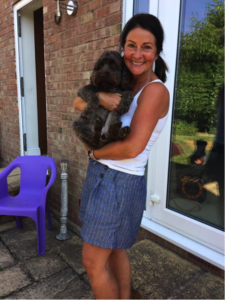 I run it with my business partner Ronnie (my four year old Cockerpoo!) – she never argues with me and seems happy with all my business decisions! Why is good customer service important? Customer service is SO important to me. In a society where we all want instant gratification, we seem to have forgotten that respect, courtesy and kindness are some of the most important qualities of not only our day to day lives, but also in running a business. 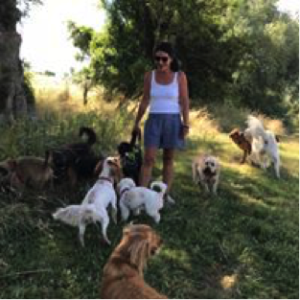 I endeavour to run Just Jen Dog Walking Business using these basic attributes, as well as professionalism, and of course, a massive love of dogs! I try my best to give the highest level of customer service I possibly can and give a service that I would want to receive. How do you deal with any complaints? In the event of any complaints, I am keen to remain calm and professional and try to come to a mutually satisfactory conclusion that both parties are happy with; remembering that the dog is the most important ‘person’ in the whole equation! How do you encourage customer loyalty? Customer loyalty is important to me – however; I don’t use any ‘loyalty cards/system’ as working with people’s fur babies isn’t like running a coffee shop where you might ‘buy 6 coffees and get one free’ (much as I am a fan of those loyalty cards!) Caring for someone’s dog is a privilege and an honour, and a relationship of trust needs to be built up. I don’t feel the use of gimmicks and freebies is an appropriate ‘tool’ in my particular profession. Why should people choose you as a company? As the name suggests, my business is a sole trader company. I assure my customers that I will always ever be the only person to have their key, and collect and walk their dog. It is important to me to build up a mutually respectful relationship with my customers and their precious fur baby. It has been so lovely to chat to Jen today! I love it when I meet someone who clearly just loves their job and who cares as much about dogs as much as I do. Privilegedpup really is my little, well rather large now, fur baby and it would mean a lot to me if when I go out to work that he is well cared for and loved just as if he was one of Jen’s own furbabies! 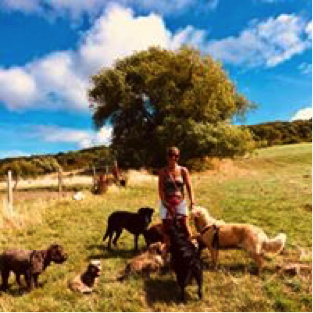 All of the dogs look so very happy running around in the beautiful Cotswolds countryside and I can’t wait to take privilegedpup over there for a good run himself! 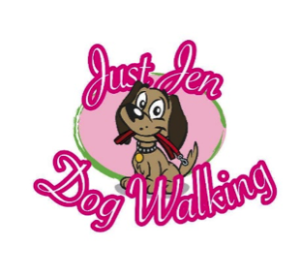 If you get a chance, click here to check out this amazing video created by Tullulah Pig which is featured on Jen’s Facebook page!